I've been editing photos and writing descriptions like a madwoman for days now. Since I'm feeling a bit on edge, I know it's time for me to plant myself in the craft room and get creative for a little while. It's therapy! Here's just some of the options on my craft desk today. MOP pendant and freshwater pearls that I might use to play along for the Bead Soup Blog Party. If so I desperately need to get busy on that soon! Enameled beads and glass headpins I won from Gardanne's blog. Aren't they PRETTY!? Here's Gardanne's shop as well. I've got a short day today since a local bead store's having a 40% off everything sale (that I MUST check out) and I'm heading over to help with the nieces after while. Sooooo, I better get to work! 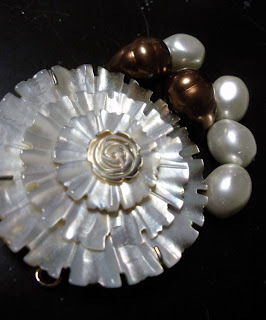 Head over to the Bead Table Wednesday Flickr Group for more beady goodness! 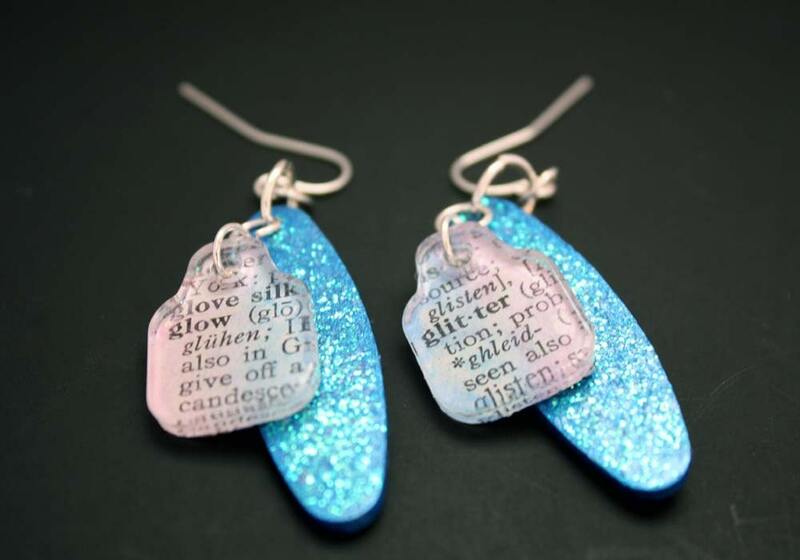 Lastly, before I head out there's two new items and another re-list in the shop. Whew! 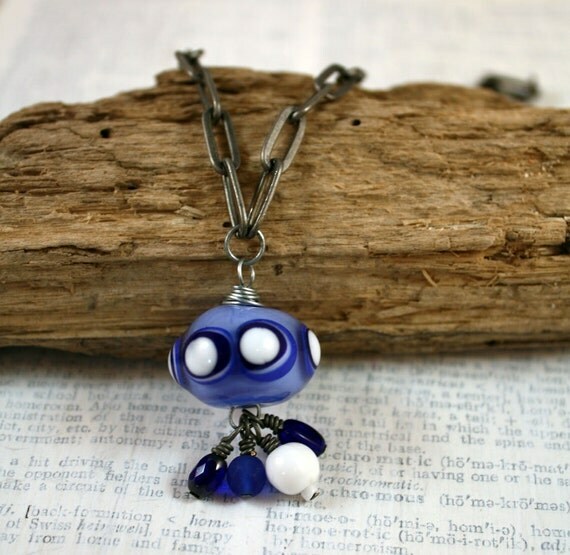 I'm glad I'm not the only one who's feeling the crunch time of Bead Soup! What a lucky win on those pretty enameled beads. 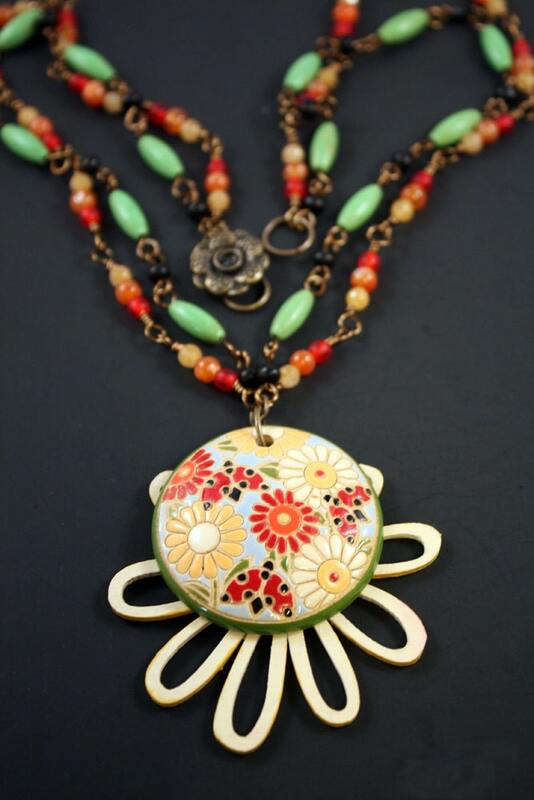 Lovin' that new Bright Daisy necklace as well. Such happy colors! Karyn- HA! I've gone back and forth. Since my name didn't come out of the hat, it's not necessary for me to make something. However, I told myself I would and even picked out that set. Now I'm just not feeling it! 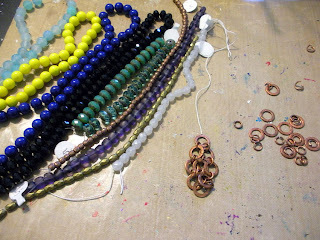 :( Yes, those Gardanne beads are AWESOME! Love them! Lastly, I do love my bright colors! Thanks so much for popping in! 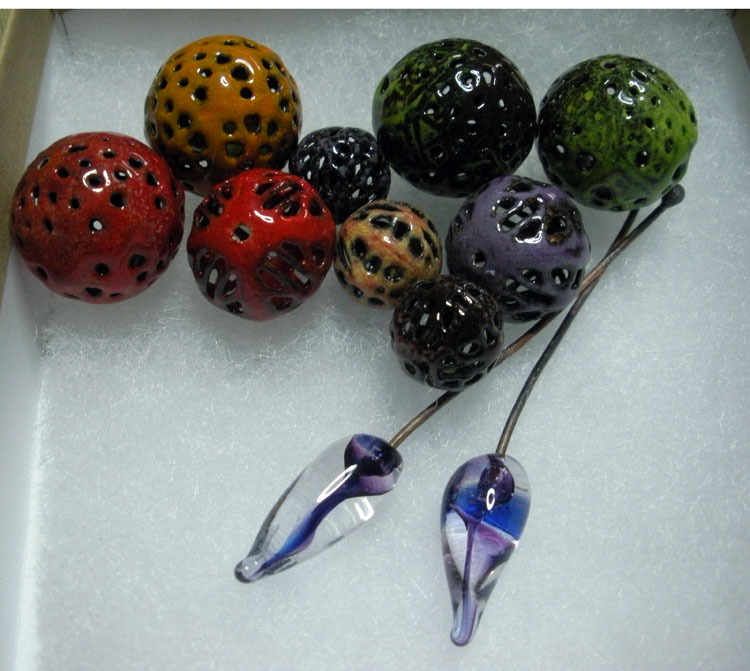 Oooo, I'm so jealous you won the enameled beads and glass headpins from Gardanne's blog! ;-) Congrats, though--I'm glad they went to you! Can't wait to see what you make with them! I was just having a peek at your Etsy shop. So many great items there! I really enjoy your designs! Hope, I am loving what I am seeing on your table the MOP pendant is very pretty. I really like your necklaces and the Daisy one is my favorite.